Those looking to purchase a product or service today almost compulsively search online. Like the spices that give a dish its distinct and palatable flavour, much of what goes into the restaurant business is hidden to external observers. Restaurants interact and engage with their customers in a limited number of ways, and much of what goes into putting their culinary creations before their patrons is hidden from view. All of these are functions vital for a restaurant to perfect, so that they can provide guests the superlative experience they desire. 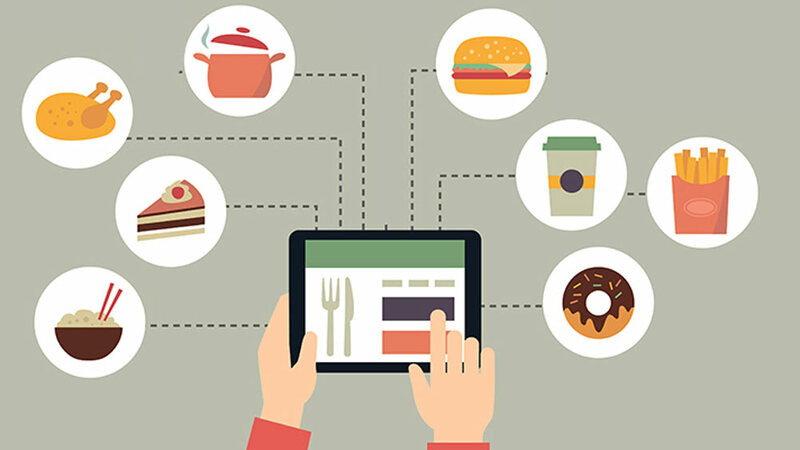 Most of the technology solutions in the food and beverage space have been customer-oriented so far but now technology has begun making its presence felt in the management of restaurants as well. Customer contact points and how technology affects them: Today, nearly every visit to a new restaurant begins by searching online, or looking at its rating and menu on food discovery platforms. Customers want to see the menu and friend’s reviews before making a final choice. Even then, their interaction with the restaurant is often purely digital – an increased demand for food delivery means that orders are often placed over a phone or across the internet. These systems have largely been designed to make the lives of customers easier, and have added greater pressure upon restaurants to cater to customers across these new media and transformed contact points. From restaurant's point of view, efforts are also seen increasing to establish stronger connect points for their consumers using backend technology tools where they know what their loyal consumers expect. Restaurant discovery: Those looking to purchase a product or service today almost compulsively search online before committing to a particular business, so that they can make more informed decisions. A restaurant without a website, well-managed social media page, or an application is just not going to be able to reach the critical young audience that most outlets need today for revenue. These digital properties are incredibly useful for a restaurant, as they help potential customers find out about a restaurant and what it offers. They easily overshadow conventional solutions like offline advertising, as these digital representations of a restaurant can reach more people, are more customizable, and can be more persuasive at a much lower price point than large billboards in a popular part of town. The Menu: A digital menu offers restaurants the ability to change what they’re offering to customers in real-time. No longer will waiters and order takers have to apologize to customers and say that a specific item isn’t available. If a particular item can’t be made on that day, it can be made to disappear off the menu in mere seconds, ensuring that customers don’t miss what they never saw in the first place. Digital menus have the added advantage of being widely available across all different order sources – over the phone, over the internet, or at the restaurant itself – making it far less likely that a customer will call a continental cuisine restaurant and ask for butter chicken. Placing an order: One of the common complaints that customers have had in the past is receiving the wrong order because of miscommunication between them and the restaurant personnel noting the order down. Not only is this incredibly frustrating, it is a major source of waste and inefficiency, causing needless confusion, returned orders, and unhappy customers. Orders collected digitally are less likely to have errors, as customers will be able to see precisely what they select before they confirm the order. Even where the order is taken via a phone call, a quick e-mail or message confirming what the outlet got from the phone call would be immensely beneficial. Digital systems that curate orders offer greater accuracy, transparency, efficiency, and customer satisfaction. Payment: Paying digitally has been a massive boon to customers, and has helped India shift away from being a cash-heavy economy. Digital payments are also a boon to restaurants, as it helps them keep digital records that are useful both from an accounting and a data point of view. Digital payment solutions can keep track of all receipts and expenses, while also reducing the possibility of unscrupulous employees skimming off the top. Above and below – getting the whole picture: Taken in isolation, technology has the potential to revolutionize the customer experience across these different contact points while facilitating the smooth operation of the restaurant. But this is barely scratching the surface. In the same way that sonar can help ships get a complete picture of the full iceberg, technological solutions are offering restaurant managers and owners an ability to centrally manage all restaurant functions today. Technology companies are providing owners with the ability to monitor and evaluate the restaurant’s operations from top to bottom, in real-time, through convenient and easy-to-use dashboards on web and mobile-based dashboards. In addition to aiding the restaurant across the basic contact points, technology also enables restaurants to communicate and engage with their customers in a variety of new ways which can add immense value to their business. They can help owners manage the inventory, alerting them when produce has gotten old; these solutions can even automate the entire process of ordering inventory, even using data to predict demand and reducing waste or organic produce. Further, they can help in curating orders to reduce inaccuracy; help manage and monitor restaurant staff; and communicate orders to the kitchen in an automated fashion, reducing the risk of the restaurant getting the order wrong greatly. Perhaps most importantly, technology can enable restaurants to have a one-on-one relationship with their customers. Today’s data-driven advanced systems can review a customer’s history and suggest targeted promotions, curate customer satisfaction, and help restaurants make sure that their customers get the best possible experience. Restaurant owners, particularly in India, need to use technology to make sure that their business grows with their customers, bringing the kind of happiness and satisfaction that is guaranteed to make their business a success.